“It’s been a few years now since they roam the Romanian villages in search of rare authentic tradition bearers and practitioners, in a rural world where heritage crafts were cast away, being in danger of extinction, with a declining number of practitioners who understand their immeasurable value. Through their project Peasant Art Craft, Lucian and Bianca give us a glimpse into the life of the Romanian peasants, as we only read about in literary works, or it is occasionally reproduced in thematic workshops. A world with an unmatchable charm, unfortunately threatened by globalization. The idea didn’t hit suddenly, it rather came as a result of a series of providential events which have resulted in a quest for endangered crafts. All these years, they learned to appreciate simplicity and things made with patience and skill. They met talented people whose stories give them confidence that this valuable heritage can be passed on to younger generations. „It all started when I met my future husband, Lucian. Among the things he had in the living room was a 120-year old dowry box from Oltenia, decorated with the portrait of two girls on a blue background and plenty more primitive collectibles found in attics that reminded him of his past.”, says Bianca. „The childhood spent in Bucovina aroused his passion for vintage traditional stuff, despite the unprecedented post-communist tendency to turn away from the traditional costumes. Photographs – the only witnesses of the past – stirred up his interest in times of yesteryear, wishing he had lived at least one day back in those times. He started collecting everything old: wooden looms, dough bowls, spindles, wooden spoons. That’s how I met him”. They used to spend their holidays in Iaslovăț, the village where his parents were born, remembers Bianca. They would take great delight in rummaging their neighbor’s houses in search for dusty treasures. No one understood their interest in objects most people didn’t care for. „It was a pleasure, though they hardly let you search their attic, feeling embarrassed about their cluttered attics. «What do you need old things for? We threw them in the river». That was people’s attitude towards things embodying their sense of identity back in 2010. In the winter of 2011, we found over ten traditional blouses and skirts in an uncle’s abandoned house, some of them with heavy bead embroidery work. That was the first time I wore a traditional costume. I come from Dobrogea. We admired their thread work, while our grandmother dressed me, telling how each detail is worked, how the fabric is woven and embellished with beads and stitches, how the cuff and neck lace is made, only making us more curious”, says Bianca. However, she learned the Romanian traditions and the story of the Romanian blouse at Balul Gospodarului prom, which took place in the village of Iaslovăț, a centuries-old event organized each year in rural communities from Moldova and Bucovina. The dress code to these events is the traditional costume, each participant striving to wear the most beautiful clothes, hand sewn and embroidered with great artistry. Along with the organization of rural events, such as Balul Gospodarului, rumors spread that village women started sewing blouses again. We were eager to see how these wonderful pieces are made. I never thought I’d see the process of weaving and sewing a traditional blouse. 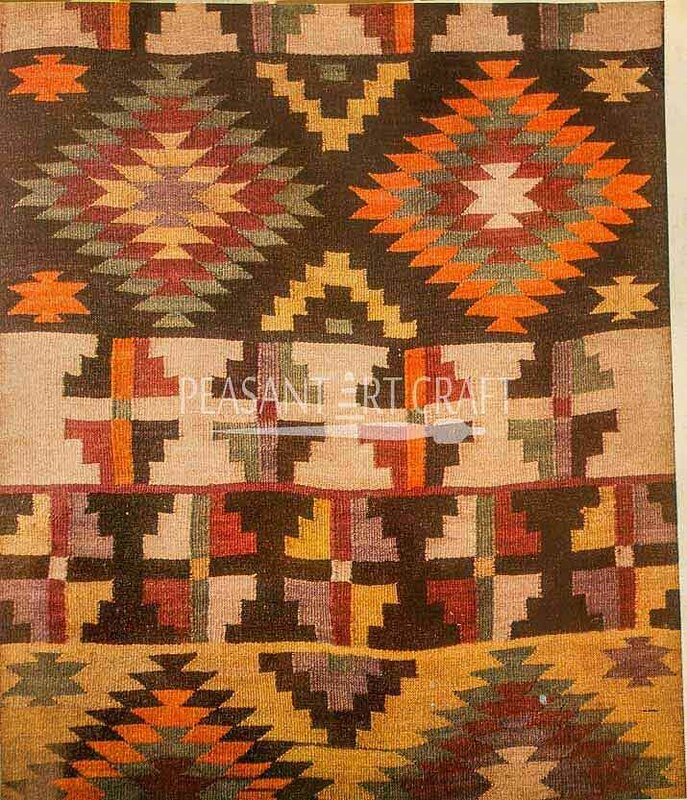 At that time, weaving and sewing were most likely practiced in craft organizations, but not in people’s households. This is how Peasant Art Craft came to be, a project that promotes the art, crafts and people’s lifestyle in rural Romania. And so we began to wander through villages, looking for ancient craft keepers, most of them old and rare”, she adds. In villages across Bucovina, Maramureș and Transylvania, the two spouses have met ordinary people who diligently do simple things. People who worked tirelessly for their entire life and keep working into old age. They raise animals, work the fields, cook and master a craft. Bianca says she was amazed at their strong health and memory. Sadly, habitual craft practices in villages of yesteryear vanish with their pass away. “Last year, in 2017, the last cooper from the beautiful village of Straja, Bucovina, mr Popescu Gheorghe passed away at the age of 93. His tankards and butter churns were flawless, nicely done, with boiled wooden hoops, manually bent and spliced without using glue, nails or other materials. They were museum pieces. With his passing, the craft of barrel making is now extinct in the village of Straja.”, she says bitterly. „The craftspeople are rare”, she adds, „many of them are old. Sad thing is the younger generations don’t bother to learn their forefather’s traditional skills. However, there are exceptions showing us there is hope. Vladimir Andrei from Bârlad, the millennial who masters the art of loom weaving passed down by his grandmother, is the best example. When they first met this young man, they knew their work is truly meaningful, participating through photographs and texts in preservation of these heritage crafts. 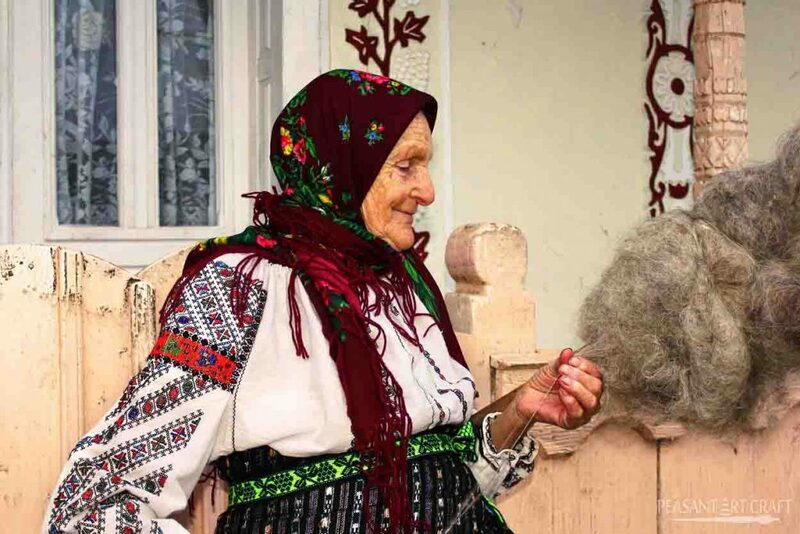 Meeting Elena Lelcu, whose Romanian traditional house, they say, is suitable for The Village Museum, is another event Lucian and Bianca fondly remember of. A clay covered log house, made with ancient building techniques: wooden nails for joining the beams, dovetail corner joints. Bianca was impressed by the owner’s tenacity and desire to keep her house, despite the high restoration costs. „The roof was in an advanced state of decay and the repair cost was way over the family’s budget. More than once, they refused to sell, choosing to continue living in the old house they love so much, facing the neighborhood stigma often inflicted by people who still haven’t learned to appreciate authenticity and beauty against the kitsch. It is hard to deal with the collective mindset, especially in rural areas, and stand firm with your decision. For this reason, I consider mrs. Elena to be a true keeper and I wish for her to manage to restore her house, because I know this is her dream”, says Bianca. Along with the promotion of the traditional crafts and with foreigner’s growing interest in rural Romania, things have changed in the the last two years, but we still need to work more on our mindset.